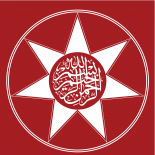 Eight venerable GrandShaykhs of the Most Distinguished Naqshbandi Golden Chain who carried the Imami line lived in the Delhi Sultanate during the Mughal Era – Khwaja Muhammad al-Baqi bi-l-Lah (1565-1603), Ahmad as-Sirhindi (1563-1624), Muhammad al-Masum (1598/99-1668), Muhammad Sayfuddin al-Mujaddidi (1639/40-1684), as-Sayyid Nur Muhammad al-Badawani (-1722), Mirzā Mazhar Jān-i Jānān Shams al-Din HabibAllah (1699/1700-1798), Shah Ghluam ‘Ali ‘AbdAllah ad-Dahlawi (1745-1824) and Mawlana Dhiya al-Din Khalid al-Baghdadi (1778-1826). 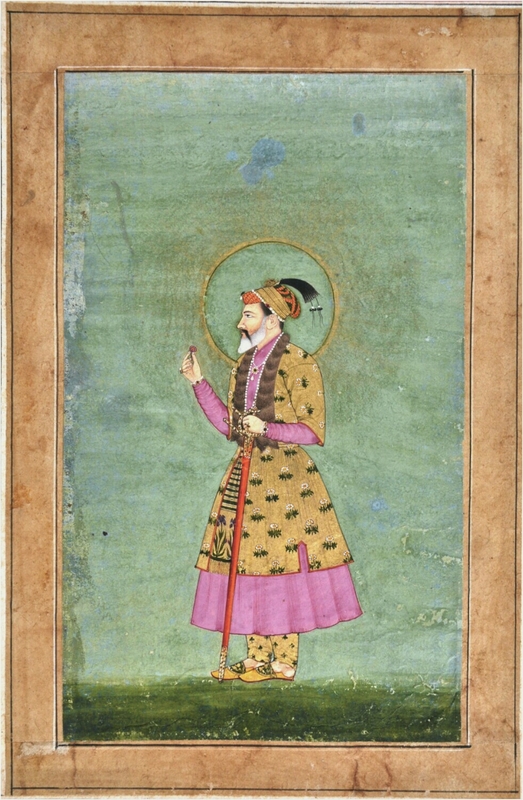 The founder of the Mughal Empire Babur – was given his name by the venerable Khwaja Ubaydullah al-Ahrar who told his grandfather to name him Babur. Babur was himself a Naqshbandi according to the Babur Namah – and attributed his success to the spiritual support of the Saints of the Naqshbandi Golden Chain. The Mughal Empire literally collapsed after the Imami branch of the Naqshbandi Order left Mughal India during the reign of Shah Alam II (d. 1806) with the migration in and around 1824 of Mawlana Dhiya al-Din Khalid al-Baghdadi (1778-1826). King of the World: Mughal Emperor Shah Jahan’s drinking vessel, made in Hindustan. This bowl has Naad i-‘Ali and the names of the illustrious Twelve Imams engraved on it. Here, you can read the following names written together from right to left, “‘Ali (Zayn al-‘Abidin) wal-Baqir Muhammad wal-Sadiq, Ja’far wal-Kadhim Musa, al-Rida ‘Ali wal-Taqi Muhammad, al-Naqi ‘Ali wal-‘Askari (Hasan)”. 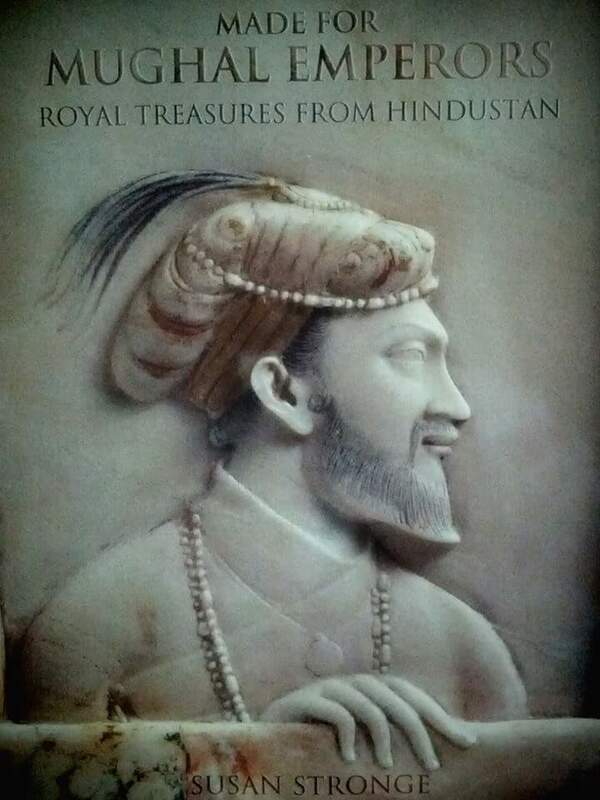 Picture from, ‘Made For Mughal Emperors: Royal Treasures From Hindustan’ by Susan Stronge, p.187. Shaykh Hisham Kabbani writes, “He (Mawlana Khalid al-Baghdadi) was the Center of the Circle of Qutbs in his time…He memorized the Books of the Ithna ‘Ashari (Twelve Imams), the source-books for the knowledge of the descendants of Sayyidina `Ali “If Shaykh Khalid al-Baghdadi is not a believer, then who is a believer?” (The Naqshbandi Sufi Way History and Guidebook of the Saints of the Golden Chain, Shaykh Muhammad Hisham Kabbani, KAZI Publications Inc., 1995). In his Maktubat i-Rabbani, Ahmad as- Sirhindi (1563-1624) wrote to the Mughal Sultan in Delhi, “…And there is another way close to the spiritual sovereignty and this is the way of the Saints and the general friends of Allah, and this way is marked by its characteristic passion and it carries the guarantee of mediation and the leader and chieftain of the Saints of this way is ‘Ali al-Murtadha. And this grand office is reserved for him. On this way, the feet of the Holy Prophet are on ‘Ali’s head and Fatima and Hasan and Husayn are included with him. I believe that he enjoyed this position even before his physical birth, as he did after it, and whosoever has received the divine blessing and guidance, has received it through him, because he is closest to the last point on this way and the centre of this spot belongs to him. And when his period ended, the grand office passed on to Hasan and Husayn and then on to each one of the Twelve Imams, individually and elaborately. And whosoever received guidance in their life and after their death, received it through these Saints. And the refuge and place of shelter of the Saints of high ranks are these Saints, (because they are the centre of all spiritual activity) and the sides tend to converge on the centre” (Maktubat, Volume 9:173#123). Following Shah Alam II’s rule, Akbar Shah II (d. 1837) became the Titular figurehead under British protection and his successor Bahadur Shah II (d.1862) became the Last Mughal Emperor. 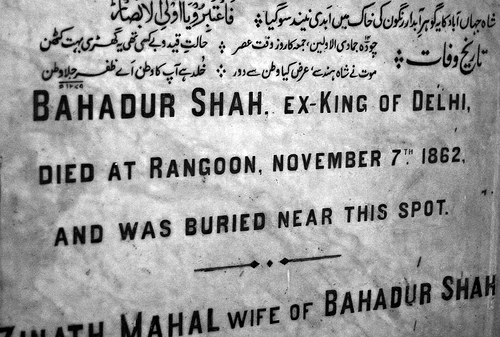 Bahadur Shah II was deposed by the British (Gog and Magog) and exiled to Burma after the Indian Rebellion of 1857.
saints from india but didn’t expect the amount to be eight of the 41. That is quite a large amount for one country to carry. I think that most of them came from The Central Asia Region, if I’m not wrong.. Thanks again for the wonderful info.. This entry was posted on April 3, 2016 by ASFC in Ahmed Amiruddin and tagged GrandShaykhs, Hindustan, Mughal Empire, naqshbandi, Sufism, Twelve Imams.